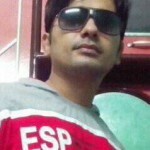 [WordPress] Headway users are in trouble? WordPress users, especially those ones who are involved in web design business like me, from time to time purchase new plugins and themes and utilize those plugins on their websites or on clients’ websites (if need be). Just a few months ago I bought Headway theme. 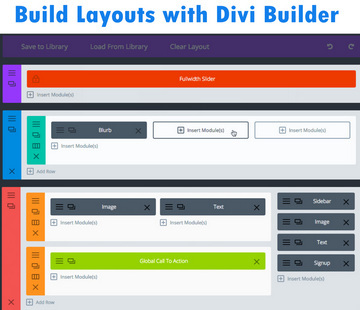 The thing is I have a special interest in drag-and-drop layout builder themes and plugins and whenever I come across a really attractive offer, i cannot help but grab such layout builder tools. 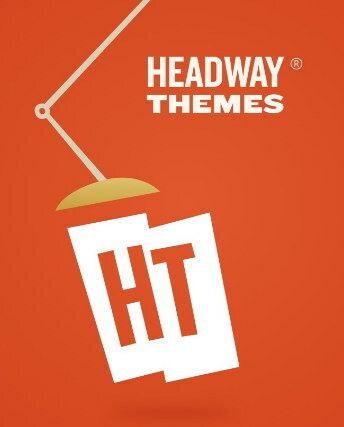 When I spotted a 40% discount offer on Headway themes, I was instantly tempted to purchase it. (Though honestly I didn’t need it at the time).That was a celebration offer and Headway was offering such a huge discount to mark the launch of its much talked-about version 4. Headway version 4 was being launched as a major update and along with other promises they were claiming it to be a drastically different and revamped version. At the time of my purchase the latest version of Headway was 3.8.8. Immediately after the purchasing, as it’s my favorite pastime to toy with various drag-and-drop builders, I installed Headway on localhost and started putting it to a number of tests. To be very honest, I liked and enjoyed creating a layout with Headway. What is refreshingly different about this theme from other layout builders is that this theme allows you to create blocks and move them from one position to another with the help of mouse. Besides, you can style the created elements in realtime way. No doubt it may take some time for you to get the hang of Headway and its layout creation mechanism. As taxing as it may be the initial process of getting acquainted with this theme, but in the end it’s fun. It gives you complete freedom to create everything from header to footer. After three or four days of my purchase of Headway, the company rolled out Headway’s version 4 and it was when everything went awry. Naturally I updated my version to the latest version 4 and as soon as I did this, my site broke down. I rushed to the support but as is the case with almost all themes and plugins, Headway support replied after around 24 hours and the reply was quite confusing: ‘Please revert back to version 3.8.8’. Soon it sank in that upgrading to version 4 in a way meant losing all previous customizations. I thanked God I was just testing the theme and i suffered no loss but for a moment just think about those who have been using Headway for a long time and have painstakingly customized Headway for their websites or their clients’ websites. They are doomed. Another issue to mention is that when I started testing Headway 4, it gave me a headache. This version was full of bugs and I was feeling too nauseated to create anything properly. In brief the experience was disappointing. So, it was the builder theme that was so hyped and to be frank I myself was expecting something bigger from this and here it was, proving to be no less than a nightmare, a fiasco indeed. What I made of the whole experience is that the company launched Headway 4 prematurely. Why? Maybe for extra profit. Maybe for some other reason. Whatever the cause, the theme needed one more year before it was launched. Because it had too many things that needed to have been fixed before it saw the market and it was for shame that such a company did so and never gave a second thought to the loss that eventually incurred its users. whoever updated to Headway must have suffered serious loss. It’s quite possible that their entire customization irretrievably went down the drain. It was bad up until then. Worst was yet to come. And it came when Headway technical support went completely offline. Support forum was buzzing with one sentence: No response is coming from support. Everybody was concerned. Support was shut for many months and there was no support staff from May to September. Headway users resigned to the fact that Headway was no more and the company had unofficially shut down. But surprisingly on September 13, 2016, the founder member of Headway Grant Griffiths wrote a post on the site’s blog and tried his best to convince its users that Headway team was offline but that didn’t mean that they were planning on discontinuing Headway. In the same post he admitted that they made a mistake by launching Headway 4 and further he informed that they are going to take Headway 4 back to its beta version. He made no bones about the company’s financial crisis and which could be taken to mean that company didn’t have money to afford support staff (or at least we think so). Though the post had a lot of clarifications but nothing was crystal clear. As for Headway’s future, it seemed that he tried and succeeded in circumventing the most important question. He didn’t say anything straightforward about Headway’s future and you couldn’t put two and two together. In fact there was no clear-cut assurance that Headway wouldn’t shut down. Though ironically even after this post, there were no 3.8+ and 4.0+ updates from Headway. In community forum, Headway’s frustrated users can be seen chatting in desperation. Now the question is what went wrong, what happened actually to the builders of so famed and excellent framework. Indeed there was a time when Headway was considered No.1 builder. And now the condition is the company is gasping. Why? Could it be that there was a breach between the key members of the company? Or, the popularity of other drag-and-drop builders like Divi, Visual COmposer and Beaver builders, reduced the company’s profit to an irreparable low? Guys, at present Headway 3.8.8 is fully compatible with WordPress and it has to remain that way for some time. So you have enough time to contact Headway founder members and force them to tell clearly about the future of Headway. And if there’s no update within one or two months, it’d be better to switch to other reliable layout builders like Divi builder (the most reliable one) or Beaver Builder. I know it’s highly taxing and profoundly cumbersome to deploy layouts from one framework to another but think if it’s really so demanding that you’d let your website break which is imminent when Headway becomes incompatible with the future versions of WordPress.